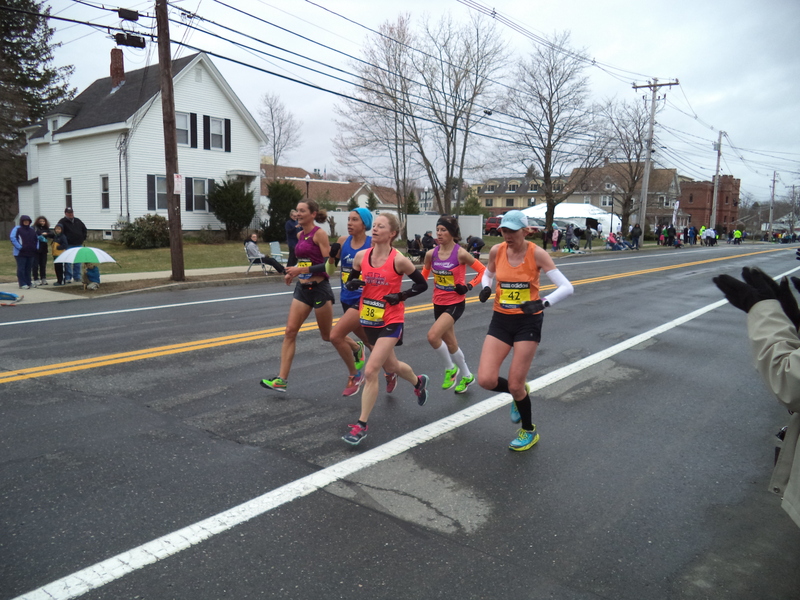 On Patriot’s Day each year, eastern Massachusetts reinvents itself with the Boston Marathon. Over half a million visitors in 2015 are expected to generate $181 million for the greater Boston economy, according to the Boston Athletic Association. Starting in Hopkinton, running through six cities and towns, and ending on Boylston Street in Boston, the Boston Marathon is open to runners 18 or older from any nation, but they must meet certain qualifying standards. For example, prospective runners aged 18–34 must run a time of no more than 3 hours and 5 minutes if male, or 3 hours and 35 minutes in the same age range if female, Qualifying times are not the only areas in which males and females differ at the Boston Marathon. Elite male and female runners have different start times, with Elite females beginning about 30 minutes prior to the Elite males. Which female runners make the most news? And the news stories about male and female runners differ significantly, even though 46% of the 2015 field is female. 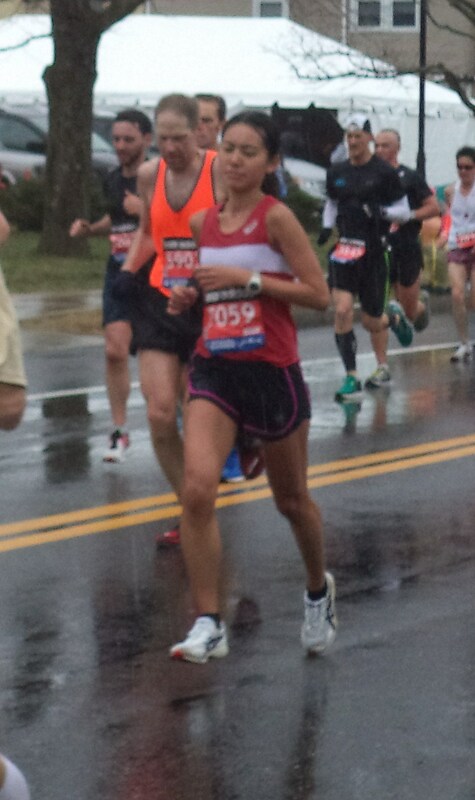 The top 2015 story about Boston Marathon female runners wasn’t even about someone who actually ran the race; in fact, it was Kendall Schler who made the news. Schler, who was initially reported to be first woman to cross the finish line at the GO! 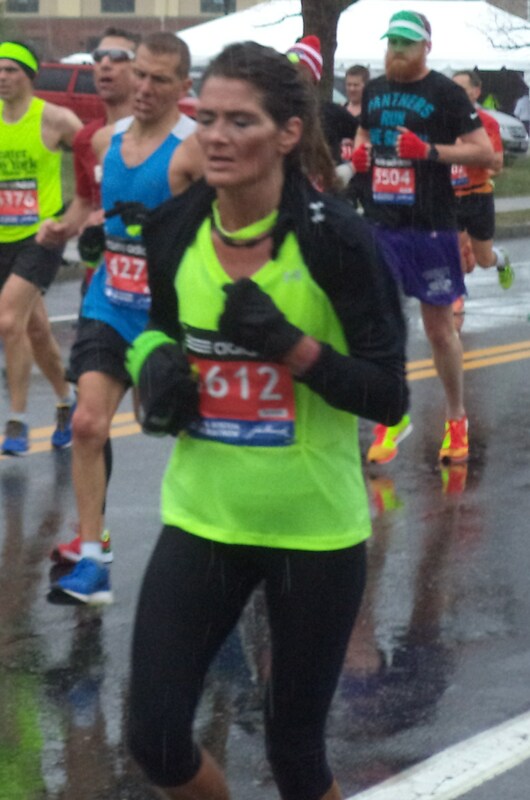 St. Louis Marathon, which would have made her eligible for the Boston Marathon, was disqualified. According to the St. Louis Post-Dispatch, officials said that Schler did not register any times on the route and marathon photos failed to turn up images of her on the course. 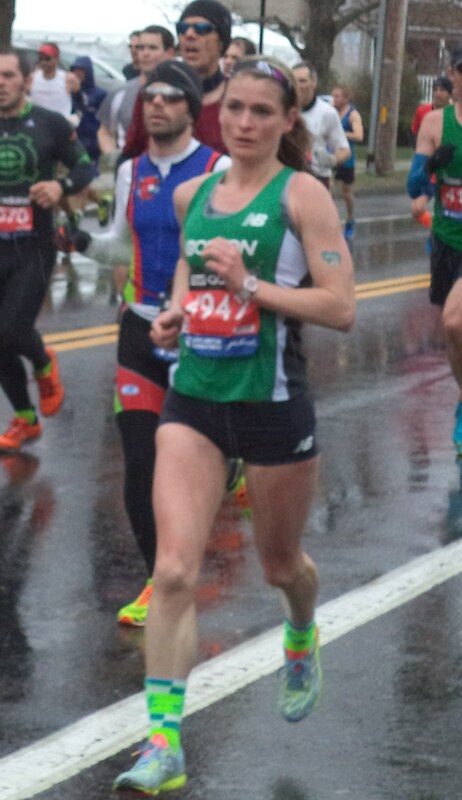 So, are there positive stories about female runners that the press might focus on as they cover the 2015 Boston Marathon? Sure, this field of female athletes is the strongest ever to run the Marathon. We’d like to know more about the Kenyan winner, Caroline Rotich, and Ethiopians Mare Dibaba and Buzunesh Deba, who brought the fastest female runner times to Boston. We could chronicle the strong American female contender, American Desiree Davila Linden, or remember Lisa Larsen Rainsberger, who took the female title in 1985. And it goes without saying that we must continue to honor Kathy Switzer, whose attempt to run in the 1967 Boston Marathon under a gender-neutral name caused then-Boston Athletic Association director Will Cloney to argue that “we have no space in the Marathon for any unauthorized person… If that girl were my daughter, I would spank her.” By 1972, females were allowed to register for the Boston Marathon, and progress for women’s rights in sport has continued. But to what degree has progress been made? We might turn to one of the top 2015 stories about females and the Boston Marathon: The Best Manicures at the Boston Marathon. To accentuate the status of elite female athletes, we all must speak vociferously about their accomplishments at the Boston Marathon and elsewhere. 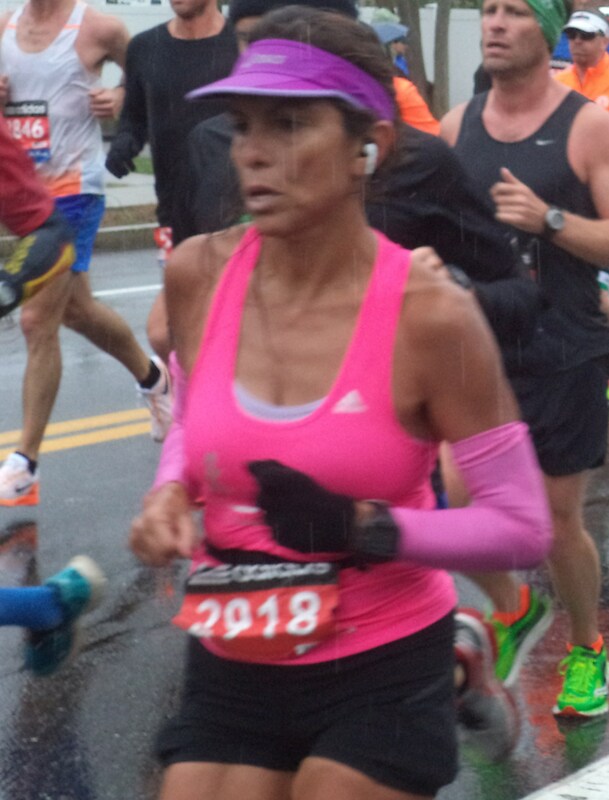 This entry was posted in media messages, women in sports and tagged Boston Marathon, female runners on April 21, 2015 by c4tuna.